Use these helpful tips to enhance your experience at The DoSeum. While you're here, feel free to reach out to any of our Guest Ambassadors for questions you may have regarding hours, programming, or upcoming special events. You can locate a Guest Ambassador in any of our galleries or the front desk. 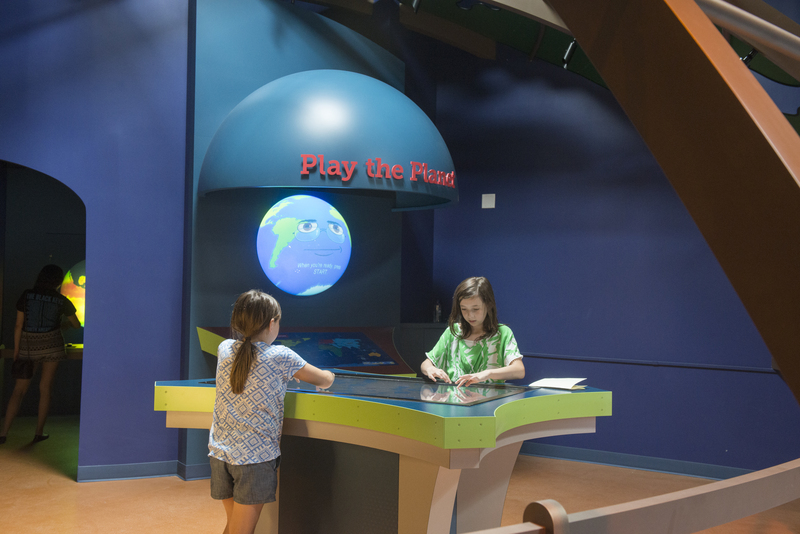 On most days during the school year, visitors should expect to see school groups throughout The DoSeum from Mondays through Fridays until 2:30 pm. School holidays and Free Family Nights will attract large crowds. Please call ahead to confirm school groups are not visiting during your planned visit if you have small children who need a less busy environment. During your visit, some of our outdoor exhibit may be closed due to monthly maintenance or inclement weather. To check whether or not our outdoor spaces are open, please call 210-212-44543 or e-mail info@thedoseum.org. The DoSeum is pleased to offer free parking spaces in our North parking lot located at the intersection of Humphreys Ave. and Margaret St.
Additional visitor parking is available in our South (staff) parking lot along Brackenridge Ave. Visitors, please do not park in any lots belonging to neighboring businesses. Parking in these lots may result in your car being towed at your own expense. There are many activities for infants and toddlers at The DoSeum. Little Town is specifically designed for children under 5 years of age and features Little Crawler Park. The small gated area, features soft sculpture furnishings, flower pull-me-ups, padded flooring , and a safe and friendly environment for little ones to explore. Changing tables are available in all men’s and women’s restrooms as well as in most of the family restrooms throughout The DoSeum. You are welcome to nurse your child anywhere in The DoSeum. However, we do have a private nursing room located on the first floor inside the Little Doers Den (next to Little Town). Please see the front desk or a Guest Ambassador for help locating a quiet space for you and your little one. For a fun and safe visit to The DoSeum, we recommend all guests wear their their “play clothes” and closed toe, rubber soled sneakers or shoes. Adults: Do not wear high heeled shoes, open-toed sandals, or flip-flops, and please remove all loose or hanging jewelry. It’s always a good idea to bring a change of clothes for the little ones, especially if they plan on exploring our water features! The DoSeum features several areas where we host potentially messy or wet science and art activities, as well as outdoor water features in both the East and West Yards. While we aim to use washable materials and have smocks available for guests, sometimes it will be hard to avoid spills and splatters. If your little one plans on entering Will's Stream or WaterWorks, we recommend you bring a change of clothes and towel. To help us manage space and crowds, we suggest you please leave your stroller in your vehicle if possible. If you plan to use a stroller inside The DoSeum, we suggest the use of smaller, “umbrella” strollers that are easier to store. Bakery Lorraine at The DoSeum features healthy, kid-friendly meals and snacks to tame hungry tummies or satisfy a sweet craving. You’ll be sure to find a selection of yummy pick-me-ups to fuel your day of fun! Visitors may bring small snacks, bottled water, and baby food/formula. No outside meals allowed. Meals must be purchased from the cafe or consumed prior to entering The DoSeum. Food and drinks are not allowed inside galleries. For a small fee visitors may rent small lockers to store their personal belonging while visiting The DoSeum. Lockers are located off the main lobby, to the left of the main desk. The DoSeum accepts Visa and Mastercard. An ATM machine is located next to the locker rental area off the main lobby. The DoSeum is wheelchair accessible and elevator access is available on both floors.